Happy Holidays & Happy New Years To All!!! As we get closer and closer to the end of 2011, i(the Original Scraper Bike King)looks back over this years accomplishments. From Jan. - Dec. we managed to rack up a list of accomplishments and promotion features that were very grateful to have received. -"Scrapertown"- the short documentary about the Scraper Bike Movement reached over 200,000 views (via Vimeo). -Traveled to Oshkosh Wisconsin to hold a Scraper Bike Workshop on the university campus. -Traveled to Carbondale Colorado to present and received an award at the 5Point Film Fest. -Nominated and Won a National Jefferson Award for Public Services, honoring me 1 of 10 "GlobalChangers of 2011". -Displayed the "Scraper Bike Teams" bikes in the Addison st. Window Gallery in Berkeley and the EastSide Cultural Center in Oakland. -Began the application process to received our 501(c)3 non-profit status. -The Scraper Bike Movement featured & introduced on Cartoon Networks the "Regular Show" with an episode called "Cool Bikes". -Successfully planned and hosted our 1st Annual Scraper Bike Toy Dive & Christmas Tree Sale..
Special Thanks to our believers and supports that made this movement what is today.. 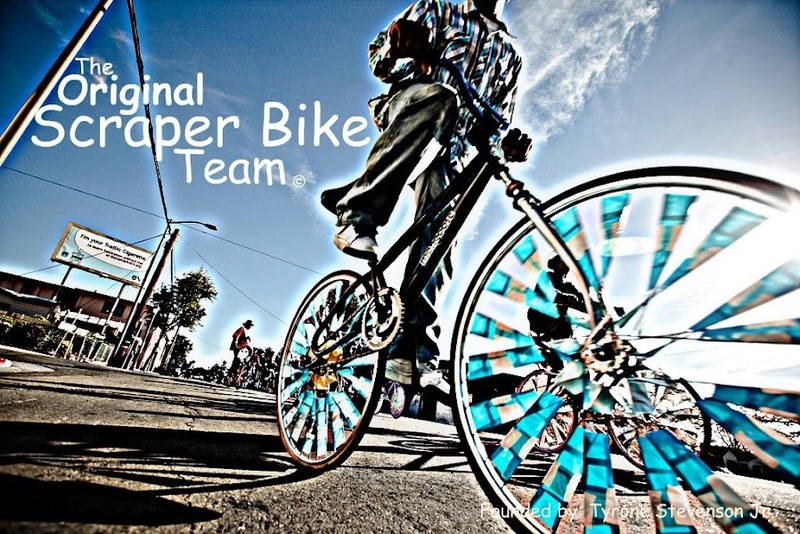 I Wounder what 2012 holds for the Scraper Bike Movement? Only one way to find out...Stay Tuned for the Scraper Bike Take-Over!!!! Its the Movement #Shwag!